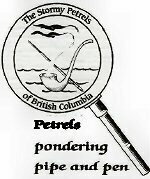 The Stormy Petrels of BC received coverage in the Vancouver Sun on Christmas Eve in an article re the Guy Ritchie Sherlock Holmes movie. “It had something for everyone, which was great,” Martin said. “People liked the costumes and the sets were amazing, the special effects, the historical accuracy was very good. It had everything: mystery, drama, suspense, intrigue, a lot of action, and comedy. At the end, it did leave it wide open for a sequel, something to look forward to.” … Click here to view full article from the Vancouver Sun. As an entertaining film, most Petrels rated it favourably, whereas, as a Sherlockian movie, it was rated slightly less. Despite no less than three attempts by Moriarty to sabotage our pre-viewing of the film, once it began the action did not stop. It is a definite must-see-for-yourself movie!